It’s hard to believe that just two weeks ago, the nine awesome young women that make up the West Africa Discovery team, were just landing in Accra, unsure of what kind of adventure they were in for. Now they are in the thick of it all; with stronger muscles and glowing dirt tans, they are looking and feeling more like locals and have definitely caught the “I love Ghana” bug. 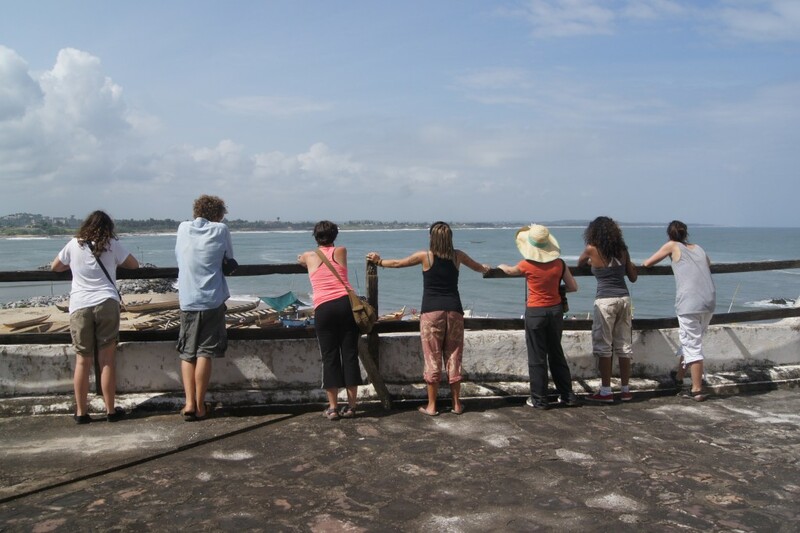 The journey began in Cape Coast, where the ladies got a hands-on history lesson by revisiting the memories of the trans-Atlantic slave trade at both Elmina and Cape Coast Castles. Through group discussions by the beach and under the stars, the group explored the role Ghana played in shaping Western society as we know it today. The group bonded above the rainforest at Kakum National Park, which made the squishy tro ride back to Accra that much more fun. Back in Accra, the group got the opportunity to visit Old Fadama: Ghana’s largest illegal settlement. Over 80, 000 people, mainly from the regions of the North, have established a community there. But twenty years later, they are still not recognized by their government, face possible eviction, and are denied access to crucial human rights: proper sanitation, education and health care. By helping a graduate student conduct surveys of the members of the community, they were able to ask questions about what life is like for the women of Old Fadama, why they still continue to live there, and what they hope for the future. Hearing the stories and struggles of community members unleashed an array of emotions and feelings of powerlessness. However, the group learned the importance of uniting community spirit and that Old Fadama would not be forgotten even as the group continued eastward to the Volta Region. 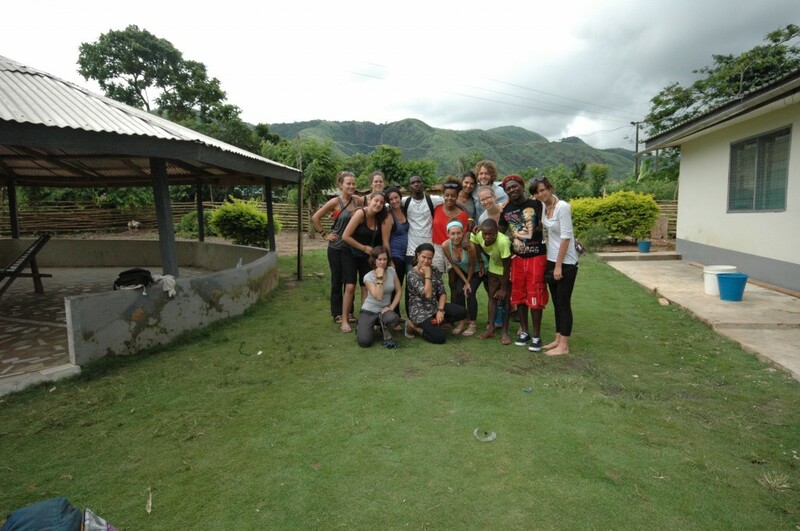 After a three hour climb up a lush, green mountain side, the group arrived, sweaty and out of breath, to the village of Wlitodzi, working with an eco tourism group called Rise Up Ghana. Wide-eyed and all smiles, they spent the next three days immersed in mountain village life. Wlitodzi is not accessible by road, and lacks a health clinic and enough teachers. 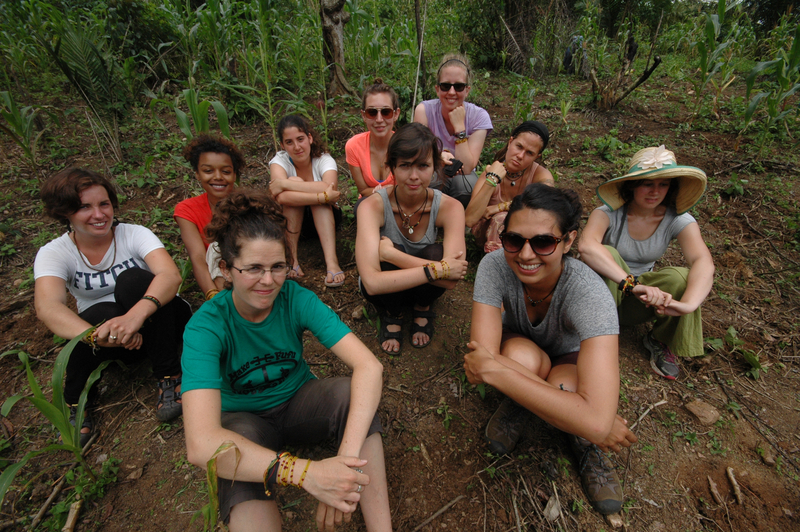 The group learned to plant and pick cassava, and tried fufu for the first time. They visited the primary and junior high schools and helped the students with homework and learned new games and songs. The community welcomed the group with such big hugs, and endless dancing. The climb back down was intense, but even more so was the realization that the people of this community must trek up and down everyday, regardless of if they are tired, pregnant or elderly. The experience of living in this remote village with all proceeds of the stay going directly to fund community projects was truly magical. Twenty-four hours and two very long and bumpy tro rides later, the group was down and around Lake Volta, pit-stopping in Kumasi, and finally stopping in Tamale: capital of the Northern Region. Tamale is a special city with fleets of motorcycles and bicycles, interesting mosques, and women in bright, colourful scarves. The group felt like they could live there. 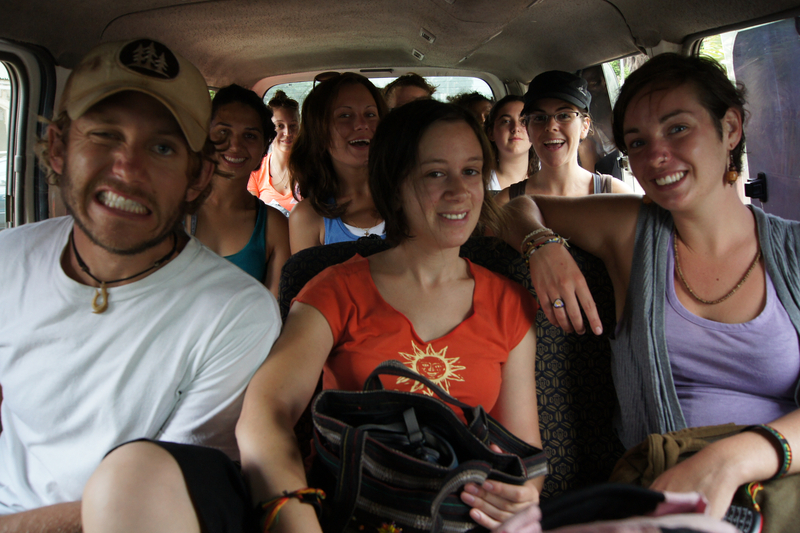 The wheels on the tro go round and round…all the way to Tamale!